The Mill, a design consortium founded by Roy Teo. The next step for the practice: to integrate digital tools into their projects. As demonstrated at the GROHE SPA Flagship Store, this tech-savvy approach can soon pave the way to a bathroom more attuned to your needs, to make it a truly personalised sanctuary. 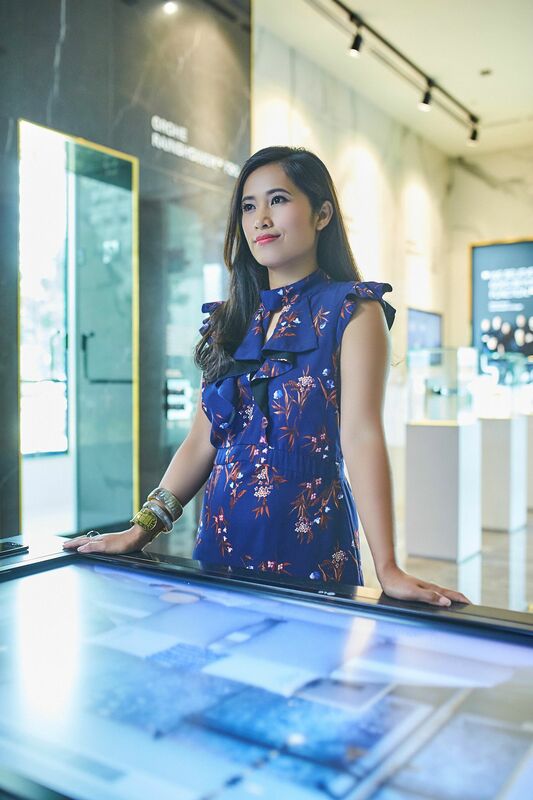 As part of a collaborative series with Singapore Tatler Homes and GROHE, the designer explored the flagship store in Singapore, while discussing the creative possibilities that these digital tools can provide. Located at Shaw Centre, the first floor of the two-storey space is equipped with experience zones such as the Shower configurator, which comprises a virtual-reality booth where visitors can customise a shower area and see it recreated in 3D. Another game-changing tool CustoMy Space, provides endless ways in which designers and homeowners alike can personalise their bathroom concepts. This digital tool recreates the bathroom concept in 3D, to help homeowners to better understand the visual details of their bathroom design, as they work with designers to realise their dream bathroom. Real-time changes to the design details, such as the choice of faucets and tiles, can be made almost instantly, to give the owners a fuller picture of how these finer details can shape their bathroom concept. “I find it’s really important to our industry that we can actually bring clients to the space and showcase the products within a 3D aspect,” shares Murray, on her experience with the digital tools at the showroom. “I think it’s really exciting because this is the future, and this is what’s happening,” she adds. Follow a day in the lives of three inspiring individuals through this special series by GROHE and Singapore Tatler Homes—we track a designer’s creative process, while offering a glimpse into the lives of a fashionista and a fitness enthusiast. Here, Jennifer Murray of the I.D. Dept discusses the future of bathroom design and how you can curate a personalised space that's truly uniquely yours.